For more than half a century, the combined American thought establishment (media, publishing, film, academia, and the like) have been cranking out a steady stream of books, articles, films, plays and more that present a completely false picture of what the assassination of John F. Kennedy was about — including who was behind it, and why. No mention of the tremendous animus massed against John and Robert Kennedy from every quarter, including but hardly limited to Wall Street, the oil industry, the steel industry, the armaments industry, big publishers, the Pentagon, the CIA, the Mob, the John Birchers. They all hated John and Robert Kennedy and wanted them out. They said it to each other, and virtually spat it in the brothers’ faces. Ruthless men, men who found violence a necessary tool of success. 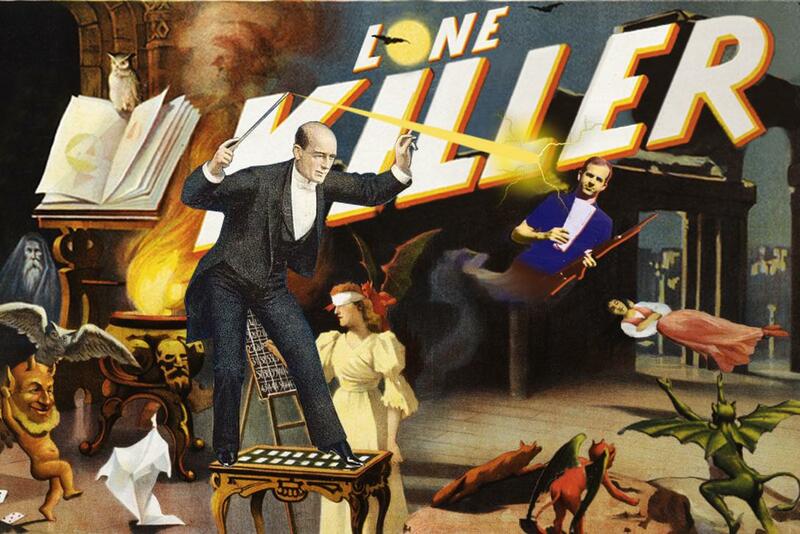 Yet, who killed John F. Kennedy? We are told that it was one angry, unstable man. Forget that the evidence — massively documented in hundreds of books, government papers and more — is that Oswald was nothing like the way he was portrayed, but instead, a focused, deliberate individual with a history that almost certainly involved participation with American intelligence. One can debate that forever, though the assembled evidence is that it was not Oswald at all who wanted Kennedy dead, not Oswald who shot him. More important, however, is the evidence, everywhere, of a coverup — from hanky-panky in the autopsy room to a shockingly premature termination of any efforts to seriously investigate. Was the coverup itself not proof of more going on? Of course it was. If this were Stalinist Russia or 1984, we could understand who was behind this giant hoax perpetrated against the people. But this is the Land of the Free. How is it that a Big Lie of such magnitude could roll along, unflinchingly, after half a century? Yet, let’s consider the tremendous output of this well-oiled machine, and ask ourselves: How does this work? Though polls have shown varying majorities of the public (sometimes more than 80 percent) disbelieving the “lone nut” story over the years, and though the House Select Committee on Assassinations concluded that Kennedy’s death was the result of a probable conspiracy, the establishment continues to produce and approve, with a few controversial and flawed exceptions, narratives that support the “Oswald done it” school. It would seem there are more people who believe in Santa Claus and the Easter Bunny than who believe Oswald did it alone. Nevertheless, the propaganda keeps coming. The entire establishment spectrum, from “liberals” to arch-conservatives, has continually backed the Warren Commission’s discredited version. For example, liberal TV host Chris Matthews of MSNBC has repeatedly promoted the Lone Nut angle on his own show, on other shows, Access Hollywood, for example, and in interviews, such as this one with the Los Angeles Times. Below we begin with only a few choice examples to demonstrate the chicanery involved in selling the Lone Nut theory. The first is about the manipulating and cropping of an interview by CBS to make a witness appear to say something he did not. 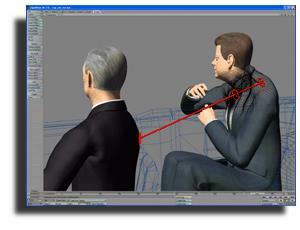 The second demonstrates a deceptive presentation of Kennedy’s posture in a computer simulation by Emmy-Award winner Dale Myers, to promote the single-bullet theory. The third is about a high tech show that made the gory head shot appear to support the official line. The first big special promoting the government-approved narrative was the 1967 CBS four-part documentary series The Warren Report, which had been labeled “independent.” In fact, it was full of tricks. Here’s how they pulled off that particular trick, as reported by his granddaughter, Gayle Jackson Nix: With the cameras rolling, Nix had been asked where he thought the shots came from, and he pointed to the grassy knoll area. Someone immediately yelled “Cut! Cut!” Then he was asked — with the camera off — Where did we tell you the shots came from? And — with the cameras rolling again — he indicated the Depository Building, where Oswald allegedly fired from a window. End result: when asked where the shots came from — Nix appears to answer by indicating the Depository Building — although that is not what he said at all. To this day, most of the TV specials, articles, and books on the assassination are trying to refute the same fatal problems in the official narrative, sometimes using the same old tricks. More recently, with increasing sophistication and technology, they have found new ways to sell the same defective product. One of the new techniques for peddling the false narrative is computer animation and, presumably, Dale K. Myers is a master at it. He won an Emmy for his computer animated recreation of the assassination featured in the ABC News 2003 television special, Peter Jennings Reporting: The Kennedy Assassination — Beyond Conspiracy. Let’s take a look at one of Myers’s tricks to solve a major problem with the single bullet theory — the problem of the vertical path of the bullet: It is supposed to have gone through JFK’s back, out his throat, into Governor Connally’s back, out the front of his chest, through his wrist, and into part of his thigh. LEFT: Dale Myers’s portrayal of Kennedy’s posture. RIGHT: reality (a frame from a film taken by Bob Towner). The nearly horizontal white line going across the photo of Kennedy on the right is the top of the limousine window. By coincidence, it seems to follow the hypothetical path from the wound in Kennedy’s back to the wound in his throat. The above is just one example of many that appeared in the Peter Jennings special. It was a misleading come-on, because if we went “Beyond Conspiracy” ABC News style, we ended up right back where we started, with the government version — thanks to Dale Myers. In 2008, the Discovery Channel presented a graphics-heavy special called Inside the Target Car. Typical of the show was the fraudulent way in which they “proved” JFK was hit in the head by only one bullet. 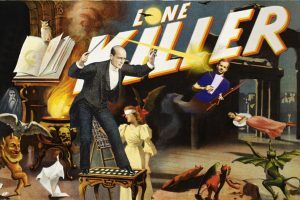 As noted by Milicent Cranor, they stacked the deck by using a simulated skull that, despite claims to the contrary, was not nearly as hard as a real one, a “skull” that would easily explode and break apart. We know this is the case because of the condition of the bullet afterwards: it remained intact. Had it perforated a real head, which is much harder, the bullet would have fragmented. But would a real head show as much damage as that seen in Kennedy’s autopsy photos — if struck by only one jacketed bullet? In 2011, the novelist Stephen King came out with his 11/22/63, in which he imagined a man time-traveling and stopping Oswald — who is of course a “troubled loner.” King’s book is now being made into a movie starring James Franco. As a young reporter, Bill O’Reilly had presented evidence of conspiracy. But by 2012, as a major celebrity being paid vast sums, he had shifted to the Lone Nutter camp, and produced his huge bestseller, Killing Kennedy. In 2013, for the 50th anniversary of the assassination, the publisher William Morrow brought out End of Days, from the author James Swanson, who, like O’Reilly, also wrote about Lincoln’s assassination. Swanson was rumored to have been paid a million dollars for his Lone Nutter explication. The book was praised by former Newsweek editor Jon Meacham, who in 2015 would come out with his own whitewash, an “authorized biography” of George H.W. Bush, which, among other things, left out Bush’s intriguing connection to the events of 11/22/63. It would be one of many examples of those carrying forward the establishment’s desired narrative by helping each other maintain the official story. Also in 2013, Tom Hanks came out with the film Parkland, based on the writings of Bugliosi and Myers. This year, a play opened in Chicago that presents a “conspiracy theory” of a sort that has been a second-favorite with the establishment: the Mob did it. The favorable linked review is from Epoch Times, an anti-China enterprise suspected of being backed by the US government. Some of the counter-factual material promulgated about JFK’s assassination masquerades as non-fiction, while the rest is presented as artful imagining. But even the latter raises the question: Isn’t the outcome of such artful imagining to influence how people think about events? In the end, “nonfiction” that is fiction, and fiction that is a distortion of reality, both contribute to keeping the public in the dark. To be sure, there may be elements in the government whose job is to “keep people calm” through efforts to perpetuate reassuring fairy tales. But there are others who sense the desires of dominant interests and wittingly or unwittingly kowtow to them. From this kind of accommodation is fashioned professional success and personal riches. It is a deal with the devil, apparently one without adverse consequences — except for those of us who would prefer the truth to comforting lies.